Vancouver Pen Club: We're famous!!! 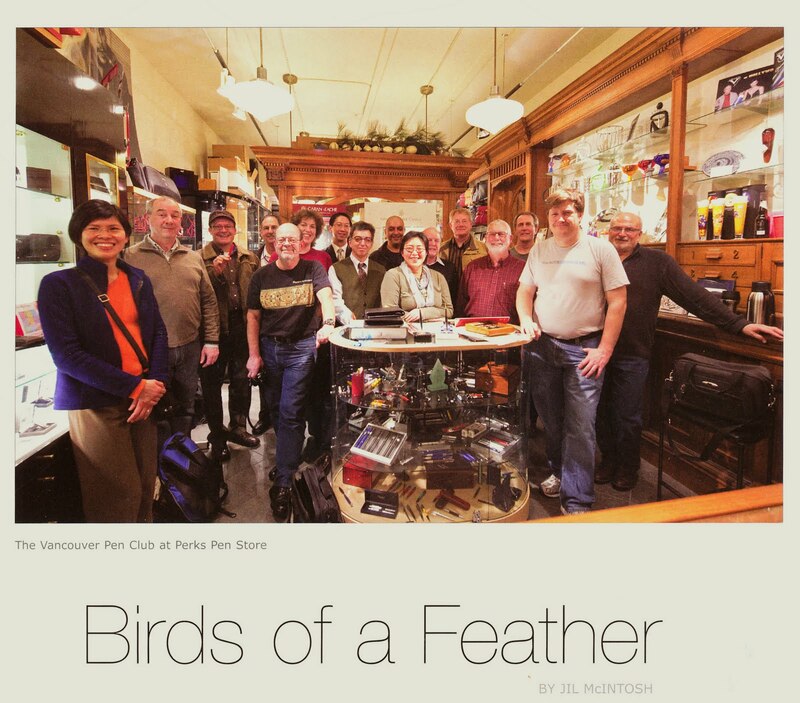 Just a heads-up that there's a nice article about the VPC (and several other pen clubs) in the latest issue of "Pen World" magazine! Richard finally got some copies of the February 2011 issue from the distributor today at his Perks store at 5844 Cambie Street (where we usually have our meetings). I sent in the photo and a write-up about our club to the editor last summer, and have been waiting with bated breath for the issue to come out! P.S. A quick shout-out to Mike W of the London (Ontario) Pen Club for his lovely blog post entitled "Great friends are hard to find!" which can be seen here. Thank you for the kind words about our club!